World-wide terrorism has created an environment where it has become necessary for nations to target individuals known to be a present or future threat to those nations' safety and security. This action, known as targeted killing, is distinguished from assassination in that assassination is committed for political or ideological reasons. Targeted killing, therefore, can be said to be an act of self-defense by a nation; it has no regard for politics or ideology, while assassination is an act that is committed for purely political or ideological reasons. The reader is lead through a definition of both terms, then presented with state studies, involving targeted killing, of three prominent nations. These state studies provide the reader with an objective look at why targeted killing is sometimes necessary. It also has examples of failed attempts at targeted killing, and the consequences of failed or incomplete targeted killing missions. These consequences can include collateral damage, like the unintentional killing of civilians, or the martyrdom of the terrorist. Targeted Killing was originally published as a paper that appeared in Henley-Putnam University's Journal of Strategic Security. Its bibliography is extensive and detailed, and it is to be recommended for anyone who has an interest in global terrorism and how it relates to safety and security. 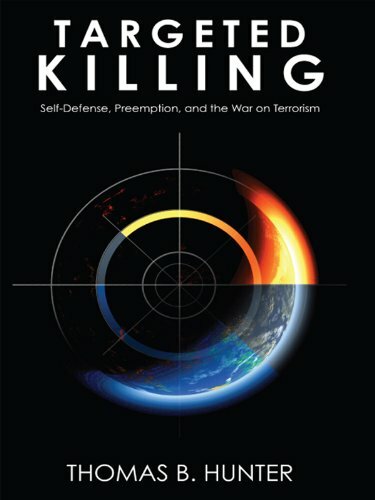 Targeted Killing: Self-Defense, Preemption, and the War on Terrorism by Thomas Hunter presents a reasoned, impeccably researched, and multi-faceted analysis of the tactic of targeted killing assessing its role, efficacy, and appropriateness in the current world political and military climate. Target killing is just one available option to national governments in their varied arsenals of state-sponsored strategies and tactics for fighting terrorism. Nevertheless, it is one of the most controversial and logistically dangerous options a government can exercise in preemptive strikes against real and current threats to national security. Author Hunter skillfully maneuvers through the moral, military, political, and tactical issues that can both cloud and clarify a government’s implementation of state-sponsored targeted killing. Written with an expert and precise understanding of the issue, Targeted Killing offers an objective and indispensable perspective on a contentious and timely debate. Terrorism and discrimination rolled into one interesting and very tangled story. Ms. Rowe weaves the two seemingly unrelated subjects into an excellent story, filled with suspense that leaves the reader anxiously looking forward to turning the page. The premise is an Air Force (female) Lt. Colonel who runs into problems with a Navy Rear Admiral in her efforts to start an elite Special Forces Unit. Between events with the Admiral, terrorists, gang members, ptsd and one's own personal demons the action and interaction will keep you in your seat. That issues of discrimination exist one should have no doubts, thankfully they are not prevalent in the armed forces, but that does not imply they do not exist as Tryggvessons story unfolds within this story. 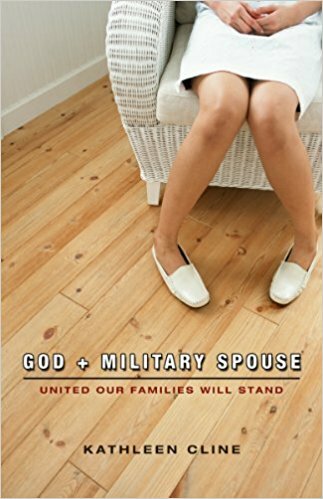 This book will interest males and females and all branches of the military as it will be easy to see the story as something that may have or could have in some way existed for each of them. Lots of toys (weapons) involved to grab the interest of action fans and an equal amount of human interest and interaction. It is a long book, 578 pages, but one the reader will not put down until finished. For first time author Rowe this is an excellent effort, the first of a trilogy I know I will read. US Air Force Lt. Col. Eagle Tryggvesson got more than she bargained for when she tangled with Navy Rear Admiral Richard Westland over a proposal for an elite Special Forces unit. Eventually losing the battle, Westland swore that she would fail- he would make certain of that. Eagle must fight against discrimination and corruption to put her highly unorthodox team together. She arrives at China Lake Naval Weapons Station to find the beginnings of Westland's sabotage. It would be up to her and the members of her team to beat the deck that had been stacked against them. Her second in command is the handsome and brilliant Maj. D.M. Elliott who falls in love with her despite their difference in rank and the prohibitive chain of command. They must work together to keep their team and their love alive. 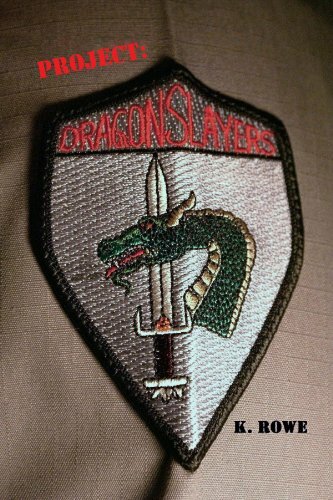 The team battles terrorists, violent gang members, and their own personal demons along with the frightening bouts of Post Traumatic Stress Disorder that haunt many warriors. Look Long into the Abyss by A.R. Homer is a gripping novel set as Nazi Germany disintegrates at the end of World War II in Europe. The book is an Odyssey-like story of a quest to arrive at Alt Aussee, where Hitler intends to make the last stand of the Third Reich; and where, in a salt mine, are stored thousands of stolen art masterpieces that represent Hitler’s private collection. Heading for Alt Aussee SS Brigadefuhrer Reinhard Hofmann, who has been personally ordered by Hitler to establish the final fortress of Nazi Germany. Failing that, he has been ordered to destroy the entire collection of masterpieces to keep them from falling into allied hands. Also racing for Alt Aussee are Americans Lt.Gina Cortazzo and Sgt. Bill Terrill, closely trailing the allied forces as they crush the remaining Nazi resistance. Hofmann is driven by fanaticism for the Nazi cause, Gina is driven by idealism to save the art, and the war weary Bill only wants to see the war end so he can go home. Also in the mix of this finely crafted novel are Frieda, the mother of a young daughter and a son, Wolfgang, who has gone over to the Hitler Youth and is now racing toward Alt Aussee with Hofmann. The family harbors a secret related to the death of Frieda’s husband, deadly to both Frieda and Wolfgang. Add in the mix Stanislaus, a Polish forced labor slave with a priceless piece of art in his possession, who joins forces with Frieda; and Father Hieronymus, an abbot whose monastery exists only at the indulgence of the local Gestapo, and harbors dangerous secrets. The lives of these characters intersect and interact in the dangerous environment of Nazi Germany collapsing. The characters are vividly drawn, the book is historically accurate, and the climax is breathtaking. It is a novel that is impossible to put down as it speeds toward the denouement. This book is highly recommended to anyone interested in military and in particular World War II novels. The Third Reich is collapsing. The rules have changed. Nazi Germany, 1945. Hitler Youth on suicide missions…old men hanged for desertion …marauding slave laborers…homeless Germans clogging roads…and looted art hidden all over. As Hitler’s Germany thrashes in its death throes, Lt. Gina Cortazzo follows close behind the American front to rescue art stolen by the Nazis. Her success awaits the capture of Alt Aussee, the salt mine where the thousands of stolen masterpieces in Hitler’s private collection are hidden. But SS Brigadeführer Reinhard Hofmann is also heading there with his crack forces, on his way to establish a final fortress where Nazism can hold out. And he is ready to carry out the Führer’s final order: destroy the entire collection, should it be in danger of falling into enemy hands. Look Long into the Abyss paints a chilling and vivid picture of the last days of World War II. The cast of characters includes Sgt. Bill Terrill, who saves Gina’s life as they cross paths with suicidal Hitlerjugend; Frieda, the mother of a Hitler Youth fighting with Hofmann; Stanislaus, the Polish slave laborer with whom Frieda and her daughter form an unlikely alliance; and Father Hieronymus, the abbot whose monastery harbors more than one dangerous secret. Throughout the chaos, Raphael’s Portrait of a Young Man weaves a spell. Thieved from thieves, lost then found, the priceless work alters the lives of Frieda, Stanislaus, and Gina…and others caught in the maelstrom. Once again Briskey Bear & Trooper Dog convey their message to children in an age appropriate manner that children will find easy to understand. Today’s fast paced society too often neglects the emotional needs of its children. In this book as in “Be Kind, Be Friendly, Be Thankful parents are given a necessary tool that is a quick read and easy to understand that will have a positive and lasting effect on tier children regarding situations of separation. This story is a continuation of Briskey Bear & Trooper Dog: Be Kind, Be Friendly, Be Thankful. In this book titled “Back Home Again”, the reunion of Briskey Bear and Trooper Dog and their friend’s shows how hard readjusting can be. It continues in the same teaching style (age appropriate) while it demonstrates the positive side of new outlooks, new hobbies and new friends. Everything comes together to make the reunion a joyous one. While not dwelling on the negative side of the issues that had arose in the first book. The book like the former explains by in easy to understand language ways to deal with issues of separation and readjustment. Like the first book “Home Again” is a good children’s book. The illustrations are eye catching and as with the first book it also hash its own CD. Parents I dare say may benefit from reading it before reading it to their children. Be Kind, Be Friendly, Be Thankful address the issues of separation, loneliness, sadness, anger and frustration. In the book Brisky Bear, the adult figure, has to go away to work on a farm. The young pup Trooper Dog, who is the child figure, wrestles through his feelings of separation while Brisky is away. The book shows how hard deployment can be, but demonstrates healthy ways for children to respond to the deployment of their parents. The book teaches children how to be heroes at home by being Kind, Friendly and Thankful. Beginning as a seventeen-year old Marine, Thomas van Hees presents a sobering account of a common man's journey through Vietnam, mainly serving as an M60 machine gunner. The author interestingly portrays the uneventful, but then in a split-second, bullets zip through him and his platoon. Life altering chaos adds to the story and to the complexity of young van Hees. He and his Marines carry on, but there are fewer as time passes. The author details many experiences - guard duty at the wire, walking patrol, and flying onboard a medevac chopper enroute to a hospital ship for a long stay. I hoped the author's duty was over by then ... but he returned, exactly where a sniper shot him months before. I wonder how and why he and other men gave and lost so much in Vietnam. Thomas van Hees relates that many didn't care about the returning soldier's suffering, sacrifice, or acts of heroism. I recommend his book to those who would care to learn. 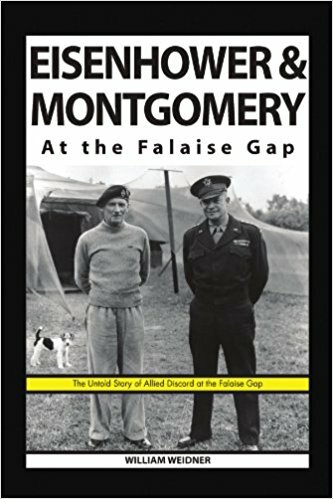 William Weidner (who is an obvious historian) takes the reader back in time to WWII in his fully documented and well researched book, "Eisenhower & Montgomery at the Falaise Gap". The footnotes and extra information truly supports the author's contentions of the stress and issues between Allied Supreme Commander, General Eisenhower and British General Montgomery. We learn how politics and other side issues took the place at times, of good military planning and strategies. I came away realizing just how good of a true diplomat Eisenhower was. He had to pull the allies together and that was no small matter. He had to deal with the super egos of his own American military forces like General George Patton and some even bigger allied egos that had far less military leadership skills. General Montgomery was one of those that Ike had to get motivated. This book exposes that underbelly that caused more than just concern but perhaps many American lives as well. The book is not light reading - but is worth the effort. 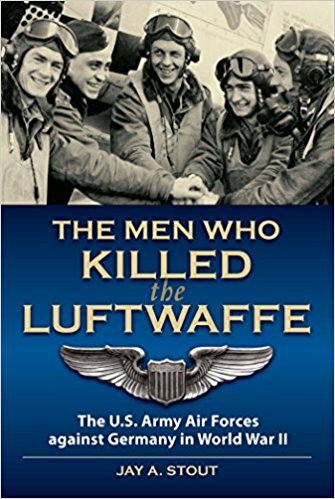 For those who love WWII books and history this is must reading! Put this book on your short list of informative history books! The author has done an outstanding job of capturing the events and the essence of these historic figures. It is an impressive work of capturing real history! Hoping to avoid an unfavorable comparison with the much larger United States Army in France, British leaders sometimes played politics with Allied strategy. The trouble began at a small town in Normandy named Falaise. The fourteen (14) miles between Falaise and Argentan have come down through history as the Falaise Gap. Between August 8 and August 21, 1944, the Allies won a great victory in France. But it was not as complete as it might have been and over 100,000 German soldiers used this gap as their escape route out of France. The Supreme Allied Commander, U.S. General Dwight D. Eisenhower was not able to keep his generals focused on their enemy. As historian Russell F. Weigley observed, 'The Allied armies in Europe simply lacked one of the prerequisites of military success, unity of command.' After the Battle of the Falaise Gap, Allied decisions appeared to be more the result of partisan political bickering than sound military strategy. By September 1944, the Anglo-American military alliance was dead and it required every ounce of General Eisenhower's considerable political skill to keep this secret from the public. This a fast-paced yet intimate look at WWII's Merchant Marine crews engaged in fierce combat against the Japanese. A freighter carrying high explosive fuel is the setting for this gripping tale of courage and leadership, ill will and revenge. 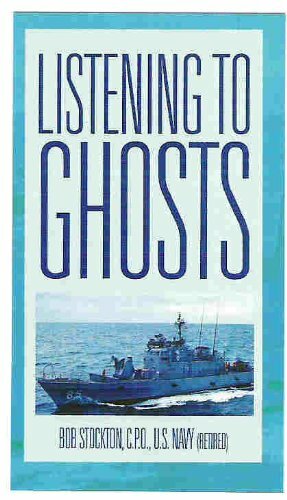 Barnes clearly knows his military history and expertly explores the psychological dramas of men isolated for months at a time in the most dangerous waters of the Pacific. Unforgettable characters are expertly developed and no reader can resist having opinions early in this story about some of America's bravest fighters. And, just when you think you know it all, the book ends with a surprising twist that is both stunning and believable. Well done, Barnes. The white hot story of a WWII freighter, loaded with high explosive fuel, its heroic crew and navy gunners drawn face to face with the most dangerous battle areas of the Pacific. A young Japanese Naval Air cadet trains for a mission that will bring him to in direct conflict with the star-crossed SS Corydon Snow. Eddie and Bingo are the kind of heroes children will love and parents will want to be part of their family's life. This book is wonderful for many reasons and one of the most profound is the sense of normalcy the authors give to basic human kindness. There are no super-heroes, only young American sailors who lived a challenging chapter in American history with kindness and a sense of duty to even the smallest of "friends". Bingo is more than a puppy; he is a means for profound values to find expression in the unlikely setting of an aircraft carrier in the Pacific Fleet of 1951. "Eddie and Bingo" is a story that will become a treasure for its simple but profound lessons in history and its glimpse into compassion among military personnel.